let us hold fast our confession. because in his divine forbearance he had passed over former sins. The whole Word of God directs us in what we should pray. let him come to me and drink. With what attitude should we pray? With love, perseverance, and gratefulness. Who are the proper subjects of this ordinance? and repentance from dead works. What is required to the worthy receiving of the Lord’s Supper? lest coming unworthily they eat and drink judgment to themselves. This Sunday is the second Sunday of September. You know what that means – volleyball at Arrigo Park at 4:00 PM! Don’t forget that this Sunday we will be worshipping together with Greater Mt. Sinai Missionary Baptist Church at their building (1421 W. Washburne; adjacent to our building to the southeast). The service starts at 11:00 AM. We will be staffing the childcare during the service. Sunday School will be happening normally at 10:00 AM at The Meeting Place. Periodically we have Families in the City events to encourage and equip those raising kids in our great city. Our next event will be on Friday, September 16th, at 6:30 PM at The Meeting Place. We will be done by 8:00 PM. 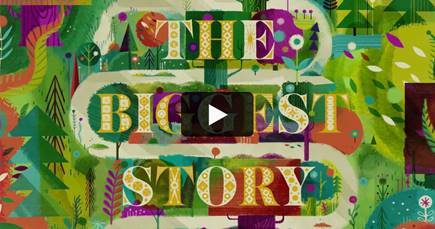 Dinner will be served and then there will be popcorn and a screening of a new animated film based on the children’s book – The Biggest Story. You can check out a trailer here. Please RSVP so we know approximately how much food to order. And please invite other families that might enjoy this film!